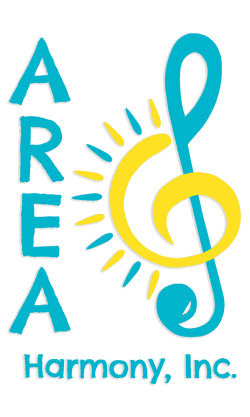 Area 6 is part of Harmony, Inc., a non-profit, international organization. Our purpose is to empower all women through education, friendship, and a cappella singing in the barbershop style. Area 6 covers the southern region of the United States, which includes Alabama, Florida, Georgia, Mississippi, North Carolina, South Carolina, and Tennessee. We currently have 2 choruses in Georgia and 5 choruses in Florida, including Harmony, Inc.'s first all youth chorus. Though we are small in numbers currently, we are consistantly working on expanding further into our area. Our mission is to empower women of all backgrounds, ages, and musical abilities to "Find Your Voice" through 4-part barbershop harmony. Won't you join us, and spread the joy of Harmony?